In stock -This product will ship today if ordered within the next 14 hours and 54 minutes. 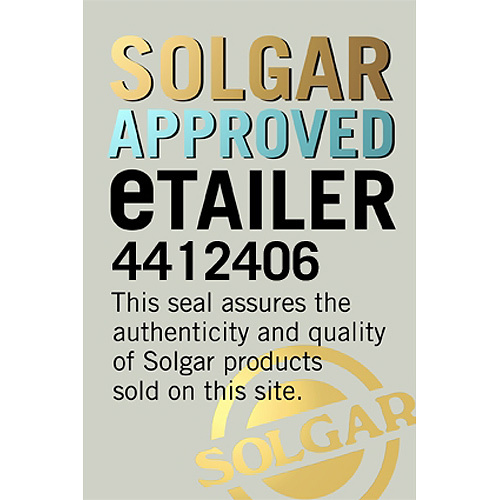 Solgar®’s advanced, shellfish-free Glucosamine MSM Complex provides the key raw materials for cartilage support. Joints are made up of many components, including muscles, tendons, ligaments and cartilage which need to be kept nourished and healthy. Healthy joints and cartilage are what help us to keep moving more easily. Cartilage, which is found at the end of bones, is a flexible and strong supportive material which is able to withstand heavy compression loads, often many times our own body weight. Glucosamine is naturally present in bones and cartilage and is considered a building block for joints and cartilage. 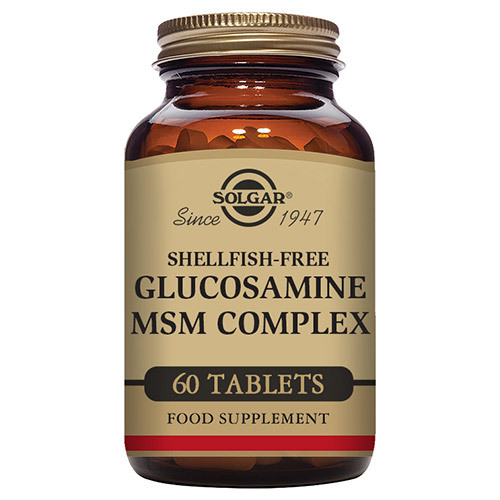 Combined with MSM, Solgar® Glucosamine MSM Complex provides these ingredients or compounds in an expert formulation that is shellfish free. 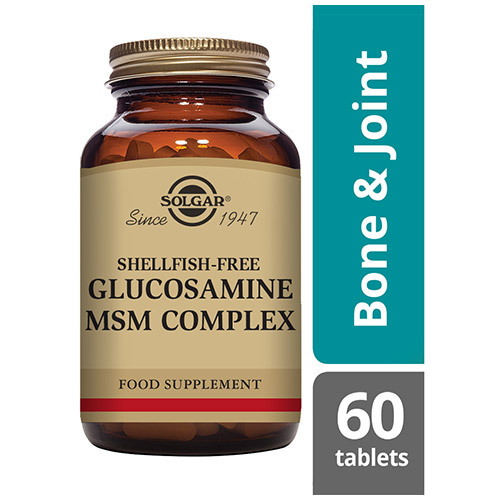 Solgar® Glucosamine MSM Complex comes in a 3 tablets a day dosage, giving you a high level of these key ingredients to keep your joints and cartilage nourished. 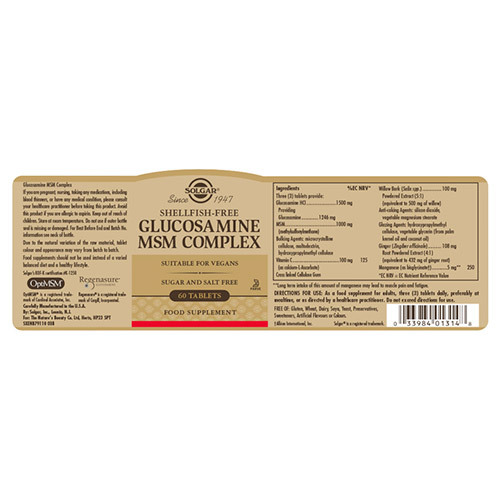 Glucosamine HCI (providing Glucosamine), MSM (methylsulfonylmethane), Bulking Agents: microcrystalline cellulose, maltodextrin, hydroxypropylmethyl cellulose, Vitamin C (as calcium-L-ascorbate), Cellulose Gum, White Willow (Salix alba) Bark Powdered Extract, Anti-caking Agents: silicon dioxide, vegetable magnesium stearate; Glazing Agents: hydroxypropylmethyl cellulose, vegetable glycerin (from palm kernel oil and coconut oil), Ginger (Zingiber officinale) Root Powdered Extract, Manganese (as bisglycinate). As a food supplement for adults take three tablets daily, preferably at mealtime, or as directed by a healthcare practitioner. If you are pregnant , nursing, taking any medications, including blood thinners, or have any medical conditions, please consult your healthcare practitioner before taking this product. Long term intake of this amount of manganese may lead to muscle pain and fatigue. Avoid this product if you are allergic to aspirin. 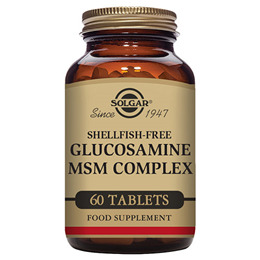 Below are reviews of Solgar Glucosamine MSM Complex - Joints - 60 Tablets by bodykind customers. If you have tried this product we'd love to hear what you think so please leave a review.